Ice Cream, why bother making it when you can simply buy it. Well, one because buying good ice cream is expensive. 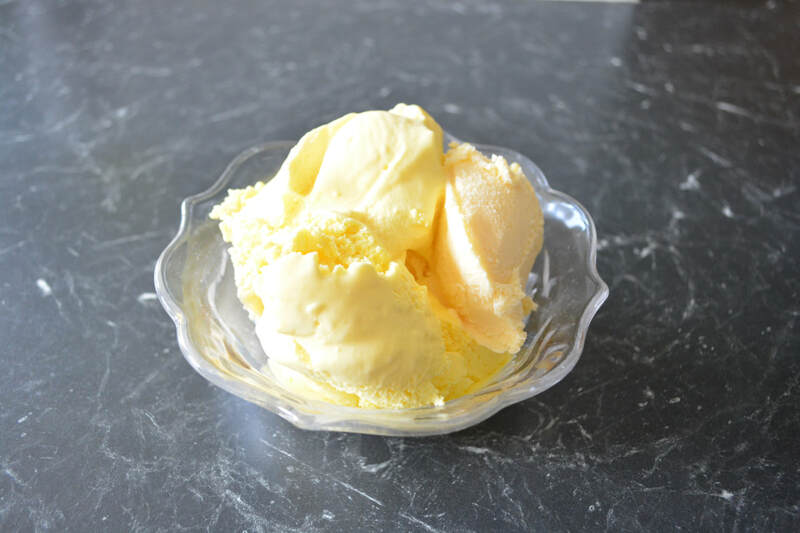 Two, homemade ice cream is nothing like the store bought stuff, the flavour combinations are endless, you just can't buy it. Three, it is so easy to do. 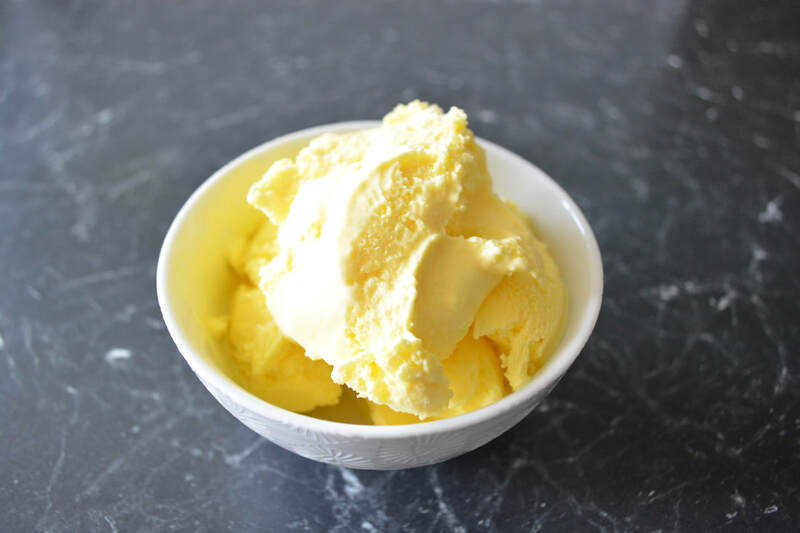 Recently while on holidays in Croatia we tried so many new flavours of ice creams, you can't buy half of them in the supermarket, you need to make it yourself. So I promised my kids I would start making ice cream when we got home and this is flavour number 4. So far I have been very successful. The original recipe used the juice of only 1/2 lemon, I found it needed more. So you might like to add the juice of 1/2 a lemon at first, taste, and if you find it needs more, add it. I also sometimes add 1/2 teaspoon of lemon extract, as well, as it just isn't lemony enough, it really depends on your lemons at the time. Pour the custard into a bowl and let it cool, for about 15-20 minutes. Once cooled add the zest, juice of 1/2 lemon and then the double cream. Taste it, if it needs more lemon flavour, add the remaining 1/2 of lemon juice.